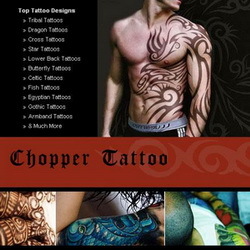 Choosing your first tattoo requires a great deal of thought and consideration, especially as there are so many designs to choose from, but, once you have made up your mind to take those first important steps, then a flying eagle tattoo, has to be one of the most admired and majestic designs of all. It is the popular choice of both men and women, particularly those in professions demanding bravery and courage, such as fire-fighters, soldiers and police officers. The flying eagle tattoo reflects the strength and the independence of spirit of the wearer and they are often chosen with banners underneath expressing idealistic words such as ‘freedom’, ‘strength’ and ‘liberty’. This personalises them and makes the whole image more impressive, particularly if done in memorial or tribute to someone. The poet, Tennyson, captured the eagle’s power and haughty superiority in his famous short poem of 1851. You can feel the strength and supreme authority of this bird of prey watching the depths below with its keen eyes before swooping on its quarry. Historically eagles have been used as emblems of strength, pride, independence and even friendship by many nations. In Native American cultures, they were deeply respected and their feathers were greatly prized, and often given as tokens of pride and friendship. In Greek mythology, the eagle was the great god Zeus’s personal messenger and companion and was given its own constellation. In Norse mythology the eagle was a powerful adversary who outsmarted the gods. Each flying eagle tattoo is unique in itself and a great piece of artwork. Such tattoos can suit any part of the body but the upper arm tends to be the popular area of choice, followed by the shoulders then the upper and lower back areas. Whether your flying eagle tattoo has its wings spread wide or closed in a roosting position, it can be an extremely striking design. 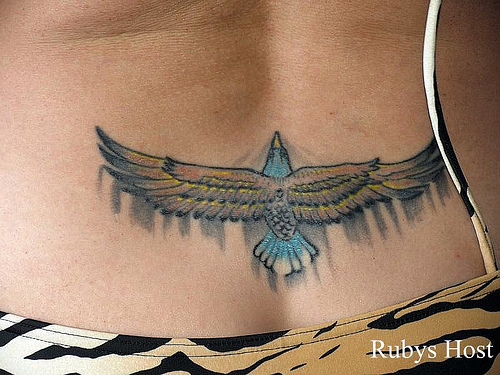 Perhaps the most important feature of the flying eagle tattoo is the fine delineation of the feathers. When the tattoo is done over a larger area, with the wings spread wide so that every detail is accentuated for verisimilitude, this tattoo can be appreciated in all its glory. This makes the back the perfect location for an eagle in flight with its wings fully spread. 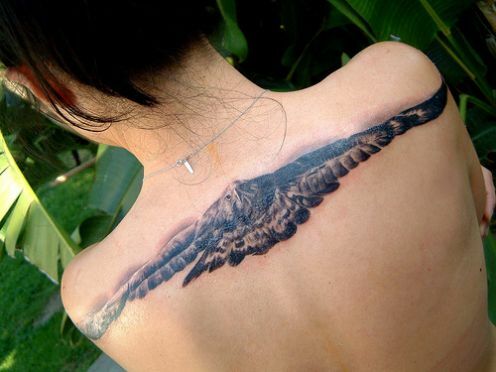 If the back is the area of choice for this tattoo, what can be extremely effective is to ink in another image of an eagle in a swooping pose, showing it targeting its prey with its powerful talons. This is almost a pictorial representation of Tennyson’s poem and is visually absolutely stunning. 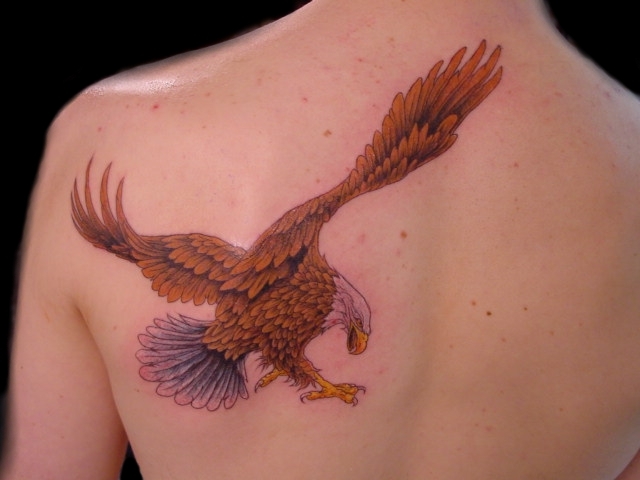 Images of eagles in a great variety of poses can be found on the internet or in tattoo shops, so browse at your leisure before committing to your design. Smaller eagle tattoos featuring just the head of the bird can be very suitable for the leg or arm and these also work well when incorporated into other designs, but if you begin with one of these, you will almost certainly progress to a flying eagle tattoo soon afterwards, and who would blame you?